In celebration of Conflict Resolution Month, Student Legal and Mediation Services is presenting a blog series about individuals that inspire peace in their communities and the world. This seventh post in the series is about Pema Chodron, and her contributions to peace and conflict resolution. Pema Chodron, born Deirdre Blomfield-Brown, is the first American to receive a full monastic ordination in the Chinese lineage of Buddhism. Since then, she has traveled throughout the Americas to spread her Buddhist teachings. Her most recent works include a book titled Practicing Peace in Times of War, where she explores finding your peace in our own heart even through the complications of life. In today’s world we find hatred and war every day. Pema uses her Buddhist teachings to help others create a new culture of compassion by finding that peace in their hearts. Through her teachings, her purpose has always been to help people create inner peace and then transfer it to the entire world. How can we as students find peace within ourselves? How can we then distribute that peace throughout campus and even further? Let’s use the Conflict Resolution Month resources available to us to find our “piece” in the world. 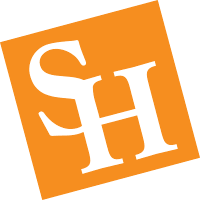 For any students seeking information about Conflict Resolution or SLMS and the legal and mediation services it can provide, please contact our office by phone at (936) 294-1717, the website at shsu.edu/slms, email at slms@shsu.edu, or visit us in the LSC, Room 330.